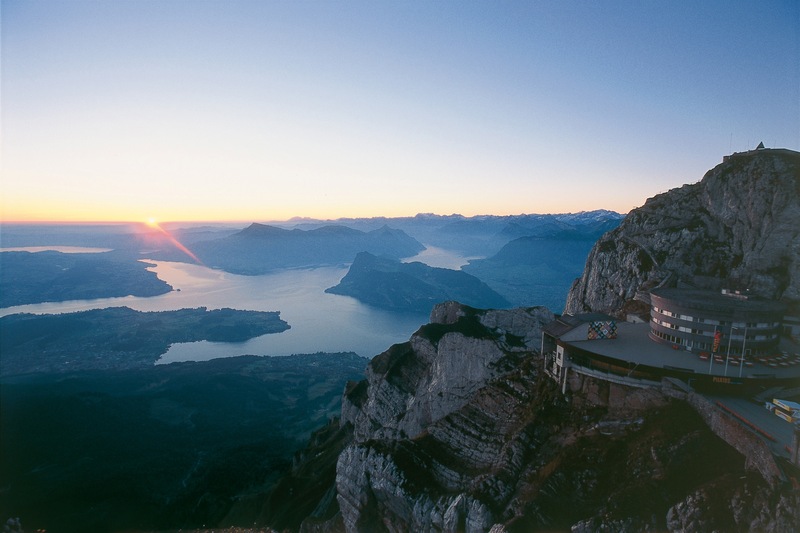 Lucerne’s «own» mountain has so many stunning sides: the aerial cableway and panorama gondolas from Kriens to Pilatus Kulm with stunning views - breathtaking panoramic views over the lakes of Central Switzerland, not to mention the Alps - no fewer than 73 mountain peaks (count them for yourself!) - the local specialities, A-la-carte menus and international delicacies in the homely restaurants on Pilatus Kulm - one-of-a-kind accommodation facilities at 2,132 metres above sea level in the Hotel Bellevue or the Hotel Pilatus-Kulm which is steeped in history and romance - and finally a trip on the world’s steepest cogwheel railway from Pilatus Kulm to Alpnachstad or Kriens. Bus No. 1 from Lucerne rail station to Kriens/Linde. The service of the gondolas and aerial cableway is closed from 22 October - 09 November 2018. The cogweel railway from Alpnachstag is operating from Mid-May until Mid-November. Pilatus Seilpark - the biggest suspension rope park in Central Switzerland on the Fräkmüntegg (open April to November).